Berkeley City Councilmember Lori Droste is hoping to encourage developers to build more affordable housing in the city by allowing them to construct fewer parking spaces in new buildings. Droste's "Green Affordable Housing Package [PDF]" — on the agenda at tomorrow's city council meeting — requests that the city Planning Commission and City Manager's Office explore a number of policy changes that would eliminate barriers to the creation of affordable housing in Berkeley. 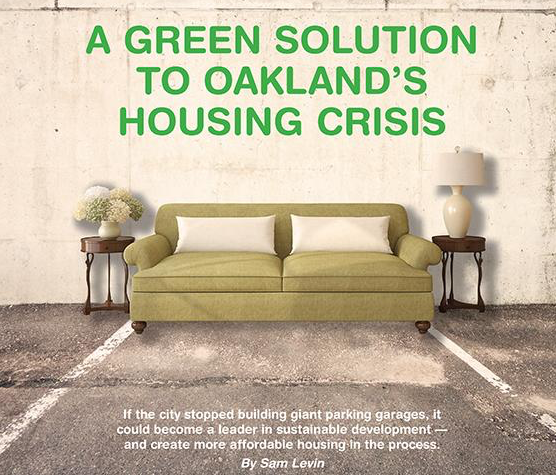 One key part of her proposal seeks to address major flaws in outdated municipal parking policies — a topic which I explored in a recent cover story focused on Oakland's laws (see "A Green Solution to Oakland's Housing Crisis"). Like cities across the country, Oakland has not updated many of its archaic zoning rules that require developers to build large parking garages in new residential buildings, which are very expensive to construct and can significantly drive up the cost of housing and lead to higher rents. As a result of the high costs associated with parking requirements, developers can also end up offering fewer affordable units or ultimately build less housing altogether. These parking rules further contradict sustainability goals since they encourage high rates of driving and car ownership. Droste, citing the recent Express story and other research on the impacts of overly strict parking rules, said that reforms in Berkeley could go a long way toward increasing the supply of affordable housing and promoting more sustainable modes of transportation. In some ways, Berkeley already has more progressive policies than Oakland, but still requires a relatively large amount of parking in certain new residential projects. In Oakland, the standard requirement for many neighborhoods is one parking space per unit, meaning developers must build a garage on site that can accommodate at least one car owner in each apartment. Data shows that these requirements are too strict and that developers are wasting money and space on a significant number of parking spots that remain vacant. Berkeley's current parking requirements vary depending on the type of housing and the applicable neighborhood zoning policies. The city's 2012 Downtown Area Plan changed the requirements in downtown Berkeley so that developers only have to construct one parking space for every three units in new single-family homes or apartment buildings (outlined on page fourteen of the plan). Additionally, the downtown plan also enabled developers to build even fewer parking spaces when they apply for a special permit and pay a so-called "in-lieu fee" — funding to the city that goes toward providing enhanced transit services. In one 77-unit project underway near UC Berkeley, a development firm was able to gain approvals for a building with no onsite parking. The resulting savings allowed the developer Nautilus Group to include some affordable housing and a number of amenities for residents that encourage alternative modes of transit, such as car-share memberships, extensive bike parking, and a cycling fix-it station in the building. While the ratio of one space per three units in downtown is fairly progressive, Berkeley's parking requirements for other parts of the city should be updated, Droste said. In many areas, Berkeley's zoning rules still mandate one space per unit (the specifics are outlined on page sixty of the Berkeley Housing Element). Droste's proposal on the agenda tomorrow seeks to "designate units and funding for affordable housing by prioritizing housing over parking spaces in new developments." That includes policy changes that would reduce or eliminate minimum residential parking requirements if a project is within 1,200 feet of a transit hub or within 1,200 feet of an area that includes both a major transit corridor and a commercial or mixed-use district. She is also asking the city to consider reducing or removing minimum parking rules when developers provide car-sharing spaces to residents. The proposal further calls on the city to consider adopting parking maximums — meaning barring developers from building excessively large garages in transit-accessible locations. And Droste is asking the city to reevaluate and potentially reduce parking space requirements in buildings located within one-half mile of a transit hub. "This is addressing this really old way of thinking about development and parking and the way people move around," Droste said in an interview last week. "My aim is to prioritize people over cars and help our city achieve climate action goals and secure millions of dollars for affordable housing." Some of the transportation and urban planning experts I interviewed for my cover story argued that cities should scrap parking minimum requirements altogether and allow developers to build the amount of parking the market demands — which can be relatively low in tranit-friendly neighborhoods where people are increasingly choosing to live without cars. Droste's proposal notes that it costs roughly $1 million to construct twenty parking spaces — money that could otherwise be dedicated toward affordable housing. The proposal further notes that the legislature has signaled its support of this kind of reform, recently passing Assembly Bill 744, which would allow affordable housing developers to bypass certain parking requirements. That bill is currently on the desk of Governor Jerry Brown. Droste's Green Affordable Housing Package also notes that a reduction in parking requirements would support many policy goals already on the books in Berkeley. That includes efforts to increase housing affordability, expand the city's housing supply, expand car-sharing, encourage dense development near transit, and fight climate change by reducing vehicle trips and supporting alternative modes of transit. "In Berkeley of all places, we pride ourselves on caring for the environment and being concerned about wealth inequities," Droste said. "This is a really great way for people to connect the dots and provide tangible solutions." Efforts to reform parking policies or build fewer parking spaces in new projects can sometimes face loud resistance from residents or businesses. The conventional thinking is that there is already a lack of parking and that if new buildings attract new residents but don't provide enough spaces to house their cars, then on-street parking will become overcrowded. Parking research in the Bay Area, however, has repeatedly found that these fears are overblown and that if cities creatively manage their existing parking supply, there are more than enough spaces to accommodate residents and visitors. And environmentalists also argue that cities need to actively discourage car ownership by building housing near transit with limited parking. Activists say that buildings can still include some parking — and Droste's proposal would not prevent that — but residents who have cars should pay extra for the parking. That way, car-free households aren't forced to subsidize the construction and maintenance of parking garages they aren't using. Droste's council proposal also calls on the city to explore broader ways to streamline the development review process for affordable housing. The ordinance asks city officials to review and compare Berkeley's process to those of neighboring cities. That part of her proposal doesn't include specifics, but Droste said that the city needs to make it easier for developers to move forward with projects that provide housing that is below market-rate. If the city allowed these projects to be fast-tracked, "It would incentivize developers to look at affordable housing projects," Droste said. She added: "We need affordable housing today and not in two years. ... We're in a housing crisis now." Droste's ordinance asks the city to propose specific solutions based on her recommendations by September 1, 2016. 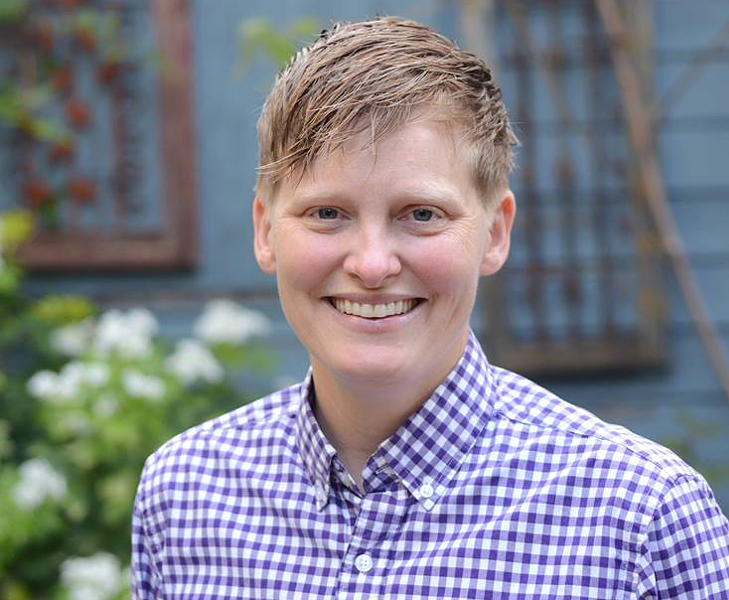 She is introducing her proposal on the heels of a heated debate and public hearing at the Oakland City Council last week, regarding the city's various policy efforts to address the housing crisis.